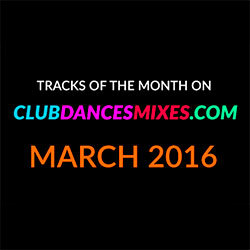 Tracks of the month on clubdancesmixes.com. March 2016. We have created a new rubric on our site clubdancemixes.com. Here you'll find the list of top 10 most popular club dance tracks of the previous month, made up on the basis of our website statistics. It's only our visitors who decide what singles were the biggest success!